ISLAMABAD: The federal government on Monday decided to fast-track work on two more prioritised Special Economic Zones (SEZs) being set up under the China-Pakistan Economic Corridor (CPEC) and directed ministries to resolve issues hampering progress on earlier three prioritised zones. The Economic Coordination Committee (ECC) of the cabinet directed the Ministry of Energy to prepare a plan for the provision of 740 megawatts of electricity and 170 million cubic feet of gas per day (mmcfd) to the zones to be set up under CPEC. The work on CPEC SEZs has remained stalled due to delay in finalisation of their administrative structures, incentive packages and availability of utilities. The ECC also decided to amend the SEZ Act to give more powers to the provinces for approval of these zones. These decisions were taken on the basis of a presentation given by Board of Investment Chairman Haroon Sharif, who highlighted all the pending issues that delayed operationalisation of the second phase of CPEC. The ECC agreed with the Board of Investment (BOI) proposals to fast-track the zone approval process, which would curtail the application processing time from 90 days to 45 days, said Sharif after the ECC meeting. He said the ECC also decided to include the Islamabad SEZ and Bostan SEZ, Balochistan, in the list of priority zones. In May 2017, Pakistan had submitted a list of nine prioritised zones to China, which would be built under the CPEC framework. Of these, three zones – Faisalabad, Rashakai in Khyber-Pakhtunkhwa and Dhabeji in Sindh – had been prioritised for the first phase of implementation. The Rashakai zone requires 210MW of electricity and 30 mmcfd of gas. The BOI had conditionally recommended SEZ status for the Rashakai zone in 2018 subject to the provision of no-objection certificate by the provincial environmental protection authority. The concession agreement for the zone has not yet been signed. The Faisalabad CPEC industrial zone requires 330MW of electricity and 125 mmcfd of gas. The provincial government has allocated funds for its development but the master plan will not be ready before June this year. Similarly, the Dhabeji zone needs 200MW of electricity and 15 mmcfd of gas. Work on this zone is moving at a snail’s pace, although the provincial government expects to hold international competitive bidding for selecting a developer this month. The Ministry of Energy will share a plan with the ECC for the provision of electricity and gas to the existing and planned SEZs within 30 days, according to a statement issued by the finance ministry after the meeting. The SEZs have been planned as part of CPEC to attract investment from China through the relocation of sunset industries. But Pakistan has remained unable to cash in on the opportunity due to usual bureaucratic snags. The BOI chairman highlighted the cost of land, provision of utilities, governance structures and freight and mark-up subsidies as obstacles to the development of prioritised SEZs. The issue of approval of a tax and subsidy incentive package remains pending before the federal cabinet for approval amid reluctance on the part of provinces to provide financing. 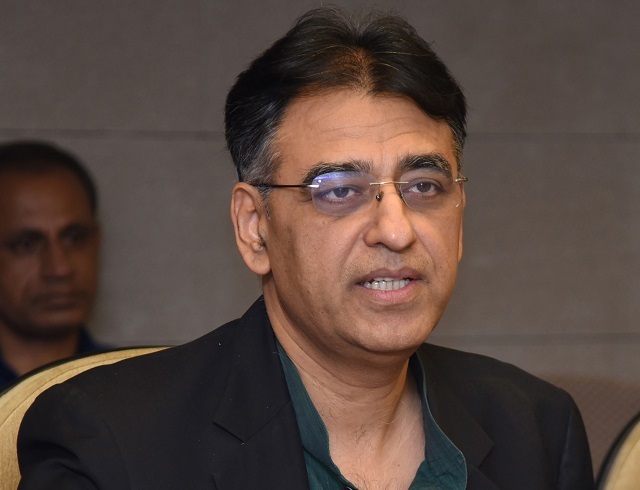 Finance Minister Asad Umar asked the provincial governments to provide land with the objective of industrialisation instead of using it as a tool to make quick money from real estate transactions. The ECC directed that the BOI should make certain changes to the SEZ Act to make it more investor-friendly. After these amendments, the role of the federal government will be restricted to providing utilities only. After the amendments, the provinces will also not be required to file applications with the BOI for approval of the economic zones. However, it will not be an easy task for the government to get the law amended due to the charged political atmosphere. The ECC also directed the authorities to first fulfil requirements of the existing seven SEZs, which were being developed outside of the CPEC framework. Punjab government representatives raised the issue of lack of availability of utilities in the province, which were hampering development of industries. The ECC accorded approval for the provision of funds to the tune of Rs833 million to Pakistan Machine Tool Factory for the payment of employees’ salaries and retirement benefits. Published in The Express Tribune, February 5th, 2019.